Dapo Awobotu is the executive secretary of the Lagos State Films and Video Censors Board (LSFVCB), and a graduate of the University of Paris. He is a prince, but grew up in penury but did all things legal to finance his education. In this interview, he told Reporter, Anthonia Soyingbe, his experience while growing up. He spoke about the state of the Nigerian film industry and why he has not ascended the throne of his ancestors as king. As the executive secretary of LSFVCB, what does your job entail? The board was set up mainly to regulate video and films in the state; we are to take charge officially of films in Lagos State. Lagos is the hub of the industry because about 60 to 70 per cent of films produced in Nigeria are in Lagos and if they are not produced in Lagos they are marketed in Lagos. In terms of censoring and in some other areas, we work in conjunction with the National Films and Video Censors Board (NFVCB). We are trying our best as an agency of government to ensure that some things are put in place while doing the business of filmmaking in Lagos. Filmmaking business worldwide is a serious business and filmmakers need investors. To some extent we have not been able to do that but with time I am fully sure that we shall surpass the expectation of people. To do a big budget film, a filmmaker needs a major financier like banks and other corporate organisations, if a filmmaker doesn't get help from those sources the next place to turn is the government, we intend to do that but we are not there yet. One of the biggest problems in the industry is piracy; if you see any filmmaker today the number one problem he will tell you about is piracy. We have been able to do a lot in this regard despite the limited resources available to us. As I talk to you there is no special organisation or government agency that is in charge of piracy, but that is one of those things we do at this board. We have worked with stakeholders to fight piracy. Despite all efforts by agencies and bodies like the LSFVCB, piracy seems to be on the increase. Is it that piracy is too big for all these bodies to curb? We have been trying all we can to curb piracy but the problem, as you have rightly said, is very big in Nigeria. Piracy is as big as the problem confronting Nigeria's government. We are trying to do our best despite the limited resources we have. Before you can go out to raid you need the support of other law enforcement agents and all these things cost money. We have approached a lot of other agencies and stakeholders to assist us because it is not a fight we can fight alone. A lot of them have promised us but up till now none of those organisations have fulfilled their promise because they have their own issues too. We have been doing all we can do with the limited resources available to us. We shall continue to do what we are expected to do no matter the situation but the result might not meet the expectations and the yearnings of the people. At what point in time did you bag your traditional title? I am a public servant, I am sure if I were not a public servant I should be a king in my village now. I am from Ilishan at Ogun-Waterside Local Government of Ogun State. My Otunba title wasn't bought, I earned it because of my contributions towards the development of my village. It will surprise you that a prince is equally an Otunba; you can be an Otunba if you don't have the intention of becoming a king. My father was a king and he died in 1962, I am the last born and the only surviving son but I am not interested in becoming a king. I still have one or two things that I want to do in government and it is not everybody that wants to be a traditional ruler. I don't like such things because I am not cut out for them. About five years back when the stool was vacant I didn't go home for about two years because someone told me that once they put a bead on your neck you have automatically become a king and I don't want to be one. They were asking for me but I didn't go home until that issue was resolved. Is it that your duties as a civil servant is deterring you from taking up the responsibility, which was probably bestowed on you by your ancestors or you just choose not to because of reasons you have not stated? I am not trying to rubbish that institution but I am not cut out for it. My interest is basically there. I am a restless person and I can't be caged in a place all in the name of tradition. I am Otunba Bobagunwa of my village (Ilishan). How was it like growing up in the palace? I didn't see the difference then because I was just like any other child. It is now that I see what people do with that stuff. To me it is not so important it is what you are that is important. Those appellations to me are nothing but the person. Politically now we ascribe a lot of importance to all this but it has to do with what you are not where you are coming from. You really have to work for it to become what you want to become. Some of them are really not worth it, while some traditional rulers are living up to expectation. In those days talking about the kings that put on a crown not new fabricated crowns. There are ancestral places we knew it has always been but these days you wake up and see a village of about 20 houses having a king all because a neighbouring village has one. It is just like the creation of local government councils. Some monarchs now do not have traditional lineage to anything. Whoever becomes a king in those days is a semi-god but now we have refined gangsters becoming kings. As a prince, would you say your upbringing in the palace has influenced your way of life and some decisions you have made in the past? Nobody was born alone but I want to ascribe my upbringing to God because I lost my father very early in life when I was barely 10 years old. My mother was old and she could be described as an illiterate, but she was able to bring us up in the normal way not in the Western way, but we were able to develop ourselves. I didn't see anything spectacular growing up because my father was late and I became an ordinary citizen although we had access to the palace. I want to confess to you that I am a self-made man; I went to a public primary school. That was what Chief Obafemi Awolowo was able to do for us, after then I fended for myself up to university level. I was a farmer and at the same time I was a fisherman and this really went a long way because I was able to pay my school fees. When I was in the university, I was a security guard in the night and I went to school in the morning. When I say I am a self-made man it is because I went to school footing my bills. I didn't wait for any relative because they have their own issues too. If I were waiting for them I won't be where I am today. It was synonymous for kings of those times to have many wives but my father had just two wives and we were just seven children. My father was born in 1887 and he was a modest man and I think I have inherited that from him. Land wasn't an issue to me then because I was able to get land, which I used for farming. My place is not like Lagos where you buy a parcel of land for millions but in my place you can still get a parcel of land for N80,000. My community is also riverine so I could easily fish to supplement whatever I made from my farm. What was the driving force that propelled you to go through all you went through while growing up? I realised early in life that one needs education and whatever means to get it is your own business. Some people have parents who are there for them but some don't have anybody to finance their education. To such people I think they should look for alternatives and work hard so that they will attain a great height like those who have a financier. For three good years I applied to a certain university in Nigeria but I wasn't given admission despite the fact that I passed those entrance examinations but because I didn't know anybody I wasn't given admission. In the present day Nigeria some children still do different manual labour or hawk after school to supplement whatever their parents have so that they may go to school. I wasn't forced to do it; I did it because I knew with education you could attain any height in life. Education is the only legacy I will bequeath to my children; I am working hard now because I don't want them to go through what I went through. But the only legacy I have for them is education aside that I do not owe them anything. What about the property you have acquired? I don't have houses. As a civil servant I have been trying to build a house for 11 years and as a senior civil servant I make bold to say I don't have a plot of land in my name from the government. I have been applying for that since but I have not been given. I understand that land is not enough for everybody in Lagos because Lagos houses over 15 million people. It is not important that I build a house in Lagos because my father didn't build a house in Lagos and he was here before he died. My first priority is to train my children and not to acquire property that I will bequeath to them. Growing up for me was rough but the end has justified the means. Which of the titles do you prefer most; Otunba, Prince or Mister? I don't regret being an Otunba; as a public servant you don't flaunt those titles but one day you will need it. Whether I am a public servant or not it does not take it away from me I am who I am. After my secondary education, I attended University of Paris in France where I studied cinematography and audiovisuals. I also did a certificate course in criminology. That is how far I could go. I started my master's degree in France but I couldn't complete it because there was no money hence I came back to Nigeria. I will still go back to continue my education when I finfish with what I am doing because there is no end to learning. The position I hold now is time consuming and for the past nine years I have not gone on a full leave. The reason being that there is no one to replace me if I should go on leave. Considering your background and every other thing you went through while growing up, why did you study cinematography? That was my choice because when I was growing up I loved seeing people on television. By the time I travelled out of this country I didn't have so much choice. I was doing commercial piloting in Canada and at a point I had immigration trouble. I started with piloting and I ended with cinematography. 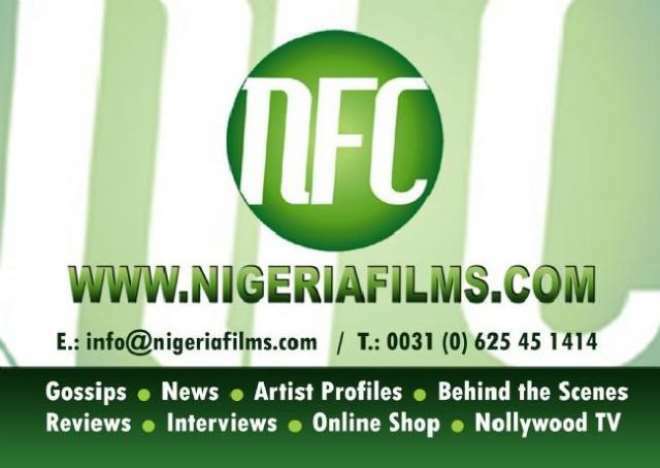 As one of the stakeholders in the Nigerian film industry, how would you access the industry now? The industry undoubtedly is growing. We would have gone beyond where we are today but we have a lot of charlatans and moneybags have taken over the industry, while professionals are relegated to the background. So many people are in the business to make profit hence the industry has become an all-comers affair. The problem becomes wider because of the influx of the wrong people who have since hijacked the industry. Now that all the wheat is growing together it is difficult to separate the wheat from the chaff. Despite that the industry has done greatly in the last decade and I foresee that the industry will attain greater heights if things are done properly. The government needs to do more in the industry and they need to pump in more money so that the industry will grow. I am just a normal person, I don't go out of my way to do things and I attend functions when it is necessary. I am a very busy man and my family comes first but I can only sustain my family because I work. I ensure that I spend quality time with my family when I am around. I am a simple person but I am a little bit temperamental, I hate cheating and so I don't cheat people. Having spent 28 years in service, are you planning for your retirement? Definitely, if you don't want to leave office the office will leave you. I plan to retire very soon and once I retire I will go into farming. I will continue with my farming and I intend to go into different kinds of farming. I want to retire so I don't intend to continue with what I am doing rather, I want to go into something else because I have paid my dues.